Chipotle Mexican Grills are popping up all over the place, and with a million dollar donation pledge to Jamie Oliver’s Food Revolution I have a feeling they are going to just soar! 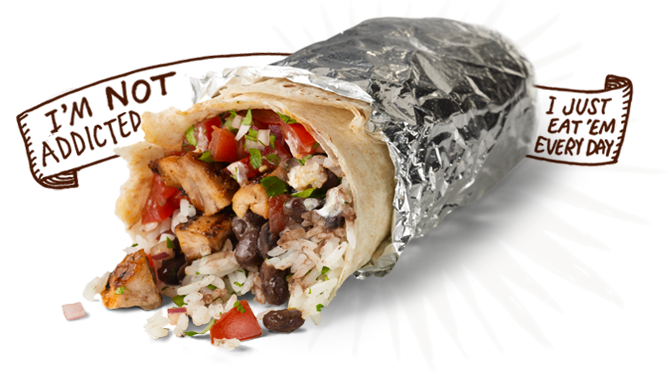 Chipotle Mexican Grill started out as a little Mexican joint by Steve their CEO in Denver, Colorado 1993. It has seriously evolved and is now located across the United States and starting to take rise in Canada. 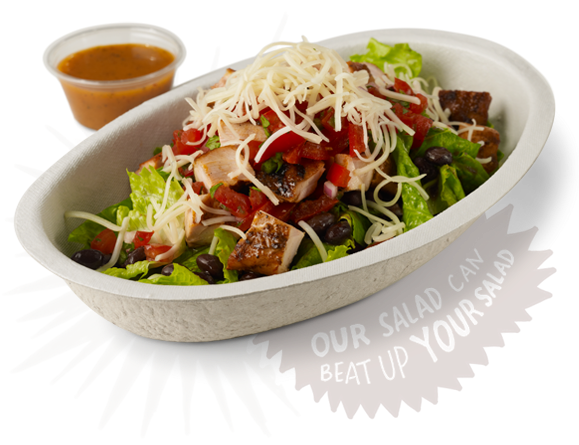 Chipotle is truly amazing “fast food”. Their motto? 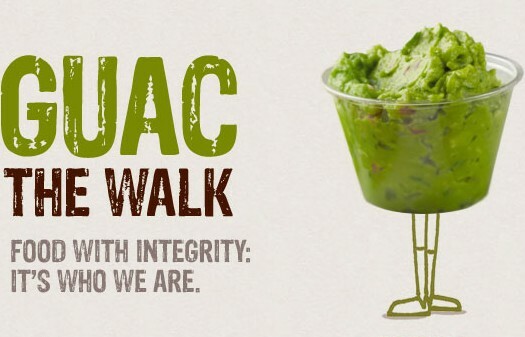 Food with Integrity. “Our commitment to finding the very best ingredients raised with respect for the animals, the environment and the farmers.” What a great foundation this is in today’s food world. It is this motto that is truly separating them apart from the pack. 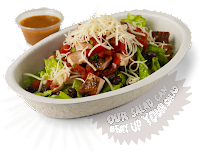 Chipotle uses sustainably raised food, meat from animals raised without antibiotics or added hormones, and dairy from cows raised without use of synthetic hormones. They are using real meat and fresh locally and organic sourced ingredients! Now that is what I am talking about! 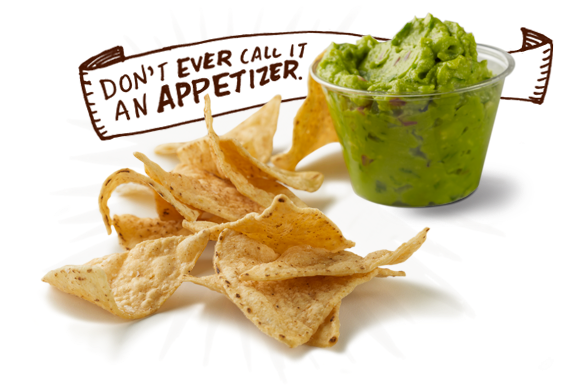 Chipotle offers a variety of Mexican delights: burritos, burrito bowl, crispy tacos, soft tacos and a Mexican salad. Toppings include cilantro-lime rice, black beans, fresh guac, sour cream, 4 different types of salsa, a corn salsa, lettuce, “fajita” onions and peppers with your choice of meats: braised carnitas or barbacoa or adobo-marinated and grilled chicken or steak, and chipotle-honey vinaigrette for the salads.